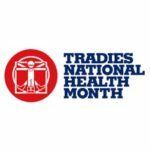 This month of August is Tradie Health Awareness Month. So all tradie’s listen up. We know it’s hard work being a tradie. Waking up at dawn, getting straight into a physically demanding job and the prolonged strain on the body over long hours all adds up. It’s not surprising that according to statistics from Safe Work Australia in 2016 “labourers accounted for the highest percentage of serious musculoskeletal disorders (MSD) claims with the highest frequency rate”. This was three times higher than the rate of all employees. The musculoskeletal system supports and protects the body and is made up of the bones of the skeleton, muscles, cartilage, tendons, ligaments, joints and other connective tissues that support and binds tissues and organs together. Body stressing occurs when muscles, tendons, ligaments or bones are placed under stress. 63% of serious MSD claims are due to body stressing. Muscle stress occurs as a result of lifting, carrying, putting down and handling objects and this contributes to 73% of most body stressing claims. 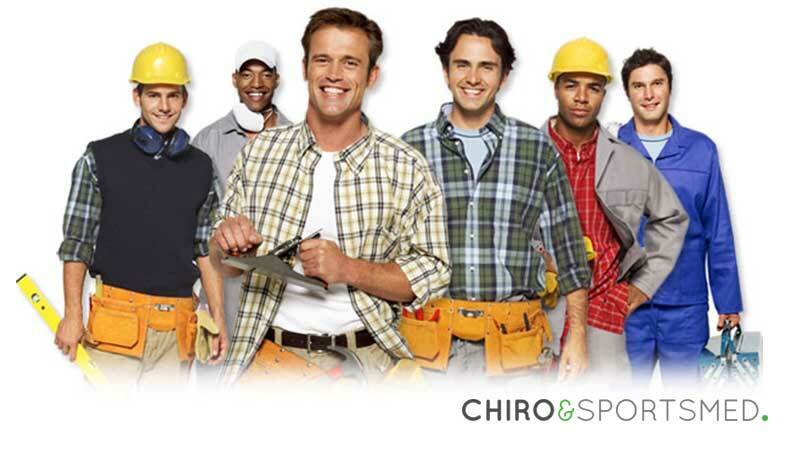 As tradies and labourers require a lot of lifting, bending and twisting, they rely on their musculoskeletal health for their livelihood. It’s important to not ignore those aches and pains as body stress could result to a reduced quality of life and early retirement, both undesired outcomes in the life of a tradie. The following tips will keep the spine happy and decrease the chance of injuries, so if you are a tradie or know anyone who is, keep reading. It is so important to stretch before and after work. It only takes a few minutes to warm up and can greatly reduce the risk of sustaining back injuries and to be able to bend and reach without strain. Doing stretches to increase flexibility, circulation and range of motion will help keep you limber, loosen up muscles and prepare your body for the physical activity ahead. Make sure you target specific areas of your body. If your job involves lots of squatting do some stretches that target your quads. A lot of energy and effort goes into lifting and done incorrectly can stress muscles, tendons and ligaments, while increasing forces on your spine. Lifting heavy objects beyond your limit should always be avoided. Make an assessment to see if there are easier ways to lift heavy objects with assistance tools such as a crane, wheelbarrow or forklift and do a quick safety check of the area to remove all hazards out of the way. Always assess the load to decide if it can be lifted with assistance tools and assess where the load will be placed. Keep a wide base of support with feet placed shoulder-width apart. Bend your legs, not your back. All the strength when lifting should come from your legs. Keep the load close to your body. For every foot you hold something out from your body, you multiply the strain on your spine 10 times. Do not twist or rotate. Keep square on to whatever it is you’re lifting. The more you twist, the weaker your back will be. It’s important to keep an eye on your posture, whether working or relaxing. Staying in an awkward position for prolonged periods and having poor posture can put a strain on the spine. Be mindful of your posture and if you find yourself hunching or slouching then correct it. Pain relief throughout the body, including back, neck, hip and foot pain. Allows us to move efficiently and improves muscle function. Takes pressure off compressed organs. Pilates is a great way to train and develop the use of core strength to support correct posture. Using the deep core muscles of the abdominals, back and pelvic floor allows the shoulders to relax, the neck and head to move freely and relieves stress on the hips, legs and feet. So find a class and get into pilates. Having a physically demanding job makes it even more important to maintain regular physical activity. Tradies are constantly putting strain on the same areas of their body, so working towards a healthy and strong body allows you to be better equipped to withstand the gruelling work. After a long day of hard work, it may not be at the top of your list to do but simple exercises such as going for a walk, swimming or a gentle bike ride are great ways to introduce variety into your routine. Often there are clues before a painful injury occurs that the body is being exposed to strain. You may feel tightness or soreness in your muscles, stiffness through your back, or perhaps there will be days where parts of the body ache and then the next day it’s totally fine. These are all signs that your body is under too much strain and there is a limitation causing the body not to move as well as it should be. Ignoring those aches and pains may lead to significant health problems over time. If something doesn’t feel right then seek help from a healthcare professional. Address health concerns early on and resolve problems before they progress. Injuries shouldn’t affect your work, family or social life, so don’t ignore the warning signs.